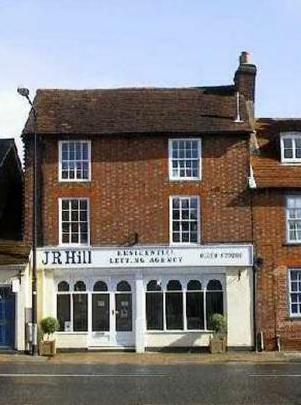 An independent company, J R Hill provides a dedicated and high quality residential lettings service and has been part of Lymington's business community for over 20 years. The company's portfolio comprises properties ranging from studio apartments to executive homes, located in the towns and villages of the New Forest and along the coast. Some properties on the company's books have been managed since the business was established in 1989, proof of the comprehensive and professional service that is provided to both landlords and tenants. We have six staff headed by Jo Hill, the proprietor, who is a very experienced and successful agent, having been involved with letting properties for 30 years. We are members of the National Approved Letting Scheme is an accreditation scheme for lettings and management agents offering peace of mind to landlords and tenants in knowing that they are dealing with a firm which agrees to meet defined standards of customer service, together with having in place the necessary insurances to protect clients' money plus a customer complaints procedure offering independent redress. We offer full property management or tenant-find. Our range of properties on offer is always varied. We also carry out our own inventories and schedules of condition for our clients. Our fees to tenants are for obtaining references, shared cost with the landlord of preparation of tenancy agreement and inventory/schedule of condition. A month's rent in advance and 1 1/2 months' rent as a deposit are required. Our fees to landlords are based on either full management or tenant-find.